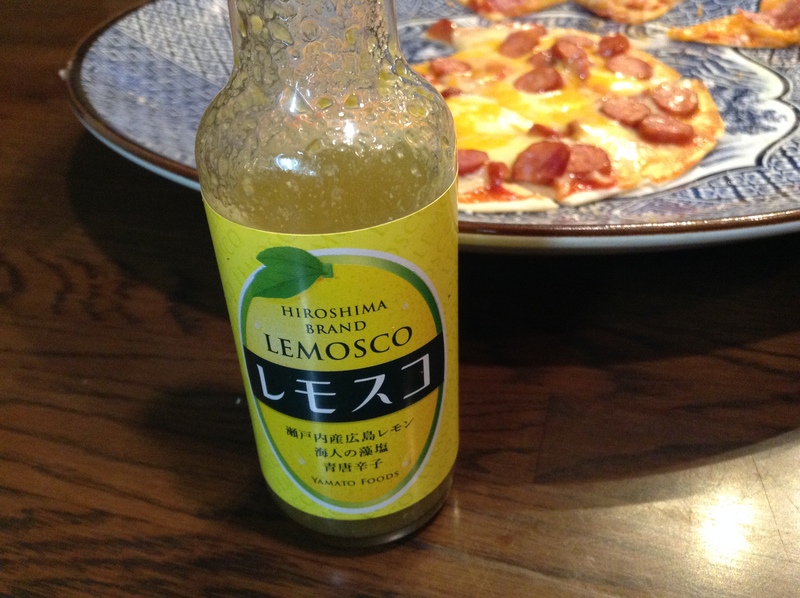 I am addicted to a product called Yuzusco, a yuzu and Tobasco like sauce that is great for pizza, pasta, eggs, you name it. Was thrilled when I cam across this Lemosco at the Hiroshima Antenna Shop in Ginza. 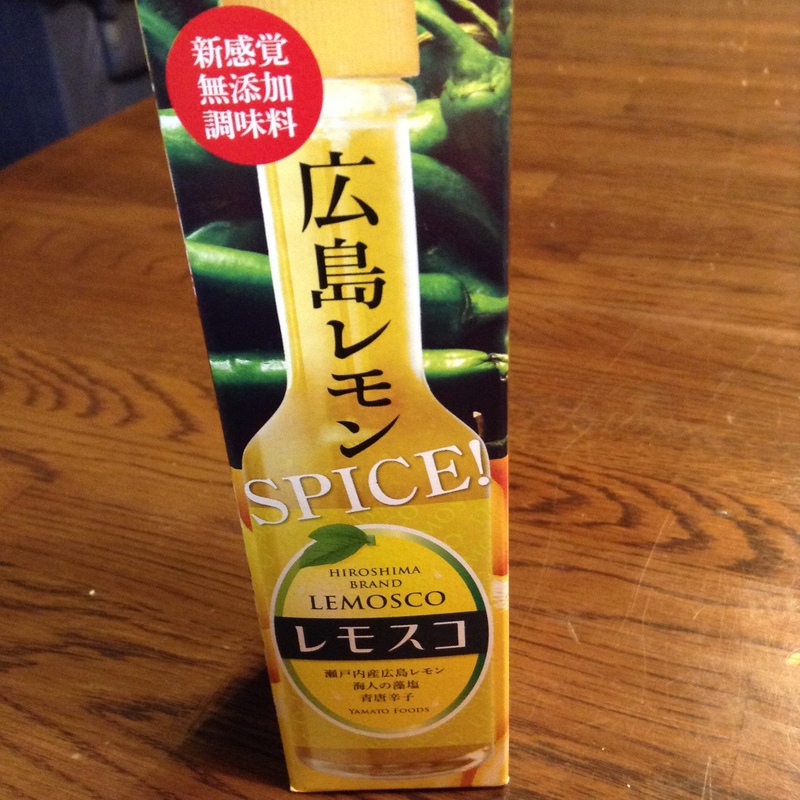 It is very similar to the Yuzusco, but lighter in flavor. Sometimes the Yuzusco can be too intense. Have loved this with food and next on the list of things to try it with will be cocktails, like a Bloody Mary. This is made from lemons, vinegar, green chili peppers, and salt. No preservatives or additives. This one is from Yamato Foods. There are so many great condiments in Japan and these make the perfect gift to bring home for friends.